There has been a strong and steady interest from patients about edible forms of medical marijuana and for good reason; marijuana-infused foods can be some of the stronger marijuana products available. If you’re somewhat experienced with edibles, you may have noticed a difference in the strength and the duration of the effects in your body. Gastrointestinal absorption will be felt by the patient typically from 1-2 hours, and the effects last from 4-8 hours. Sublingual absorption will be felt by the patient typically from 5-30 minutes, and the effects last from 2-4 hours. The amount of 11-OH-THC formed in your body can vary wildly depending on whether you take cannabis as an edible (high levels) or smoke it (low levels). 11-OH-THC does not naturally exist in the cannabis plant, but is formed after ingestion of THC within the human body; a metabolite of delta-9-THC, produced by the liver when marijuana is ingested. If eaten or ingested, THC metabolite (11-OH-THC) levels in a patient’s body can sometimes be 3-10X higher than with vaporization or inhalation. When cannabis is inhaled, THC is absorbed fast and directly through the lungs, where little metabolism takes place. THC quickly distributes to other body tissues and only a small fraction of it remains in the blood. The small amount of THC remaining in the blood eventually goes to the liver to be converted to 11-OH-THC. However, since there is only a fraction of the THC remaining in the bloodstream, there is only very limited production of 11-OH-THC through the liver. When cannabis is orally ingested, THC needs to be digested in the stomach and be broken down in the liver before entering the bloodstream. 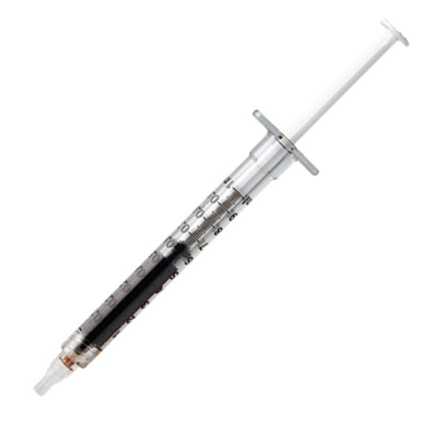 This allows for high doses of THC to be metabolized in the liver, thus enabling high concentrations of 11-OH-THC to enter the bloodstream and pass the blood-brain barrier. The result is often a stronger relaxation and more psycho-activity. It is important to remember: other than the cannabinoid content of a particular product, the main difference in effects between these methods is the chemical breakdown THC experiences in your stomach and liver when you ingest it orally. After THC is ingested, your liver goes to work, converting it into other molecules in order for your body to process. These other molecules are called metabolites, and whereas metabolites are usually less active than the parent molecule, sometimes one can get a metabolite that is even more potent, as in the case of THC and its metabolite 11-OH-THC. Standard Farms Capsules - Not recommended to cut as they contain olive oil. Cresco Capsules - Can be frozen and microdosed via cutting. Contain coconut butter. Standard Farms Dropper Tincture - Contains MCT oils, organic cherry flavoring and safflower oil. ****The most important thing to remember is that each person can be different – start low and go slow. Always consult with a medical professional before consuming medical marijuana.